Summer days are perfect to get outdoors and cook something on the grill. 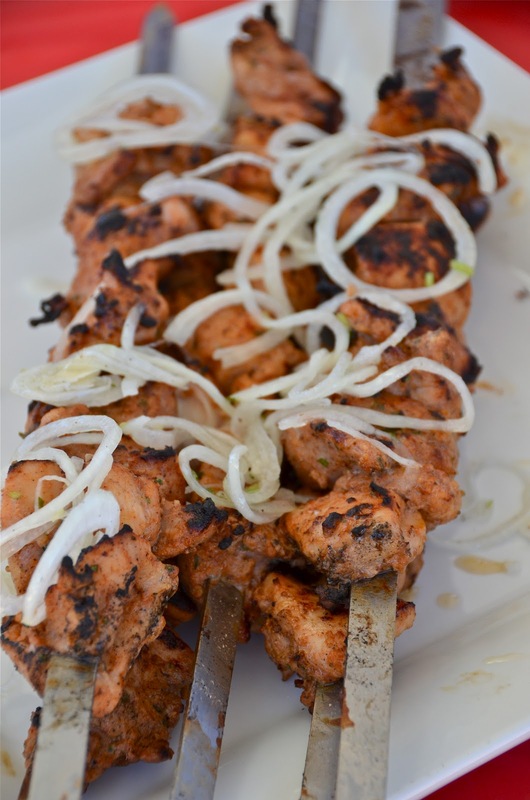 These grilled chicken kebabs are very juicy and tasty and great for parties, camping or just for your next family lunch or dinner. Combine and mix all the ingredients in a bowl. Refrigerate overnight or up to 3 days. Take meat out of the fridge 1 hour before grilling. Place the meat on the skewers and grill it. you can,but its really good with yoghurt and not that fattening.But I would recommend to add little of lemon juice like 2-3 tablespoons or white wine vinegar. Made these last night and they turned out Great! everyone loved them! Thanks for sharing! Thank you so much Galina for your feedback.Glad that they loved it! Thanks Alana for feedback!Oh we love these kebabs. Nadia, Do these come out spicy? Thank you.